This blog has always been in a constant state of change. 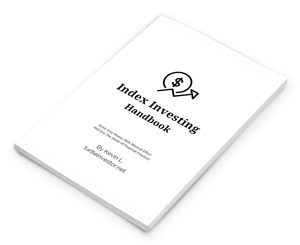 When I first started it, it was intended for myself to keep track of all the index investing resources I encountered and understood, as well as to make sense of it all. Figured I’ll keep everything on a blog since many people would be looking for the exact information like myself. Index investing was far newer and rarer a few years back. People started coming, reading, asking, and sharing. One thing led to another, and I discovered many other Singapore-based finance blogs. Even better, I learnt a great deal in the process and made a few friends. Back then, I didn’t even know what the heck was a financial blogger! 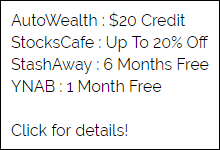 One thing for sure, the blog was never written with the “financial freedom ASAP” angle. Instead, my blog is actually very personal in nature as it documented pretty much what I’m doing in my journey of searching for my direction. It wasn’t intended to be perceived as being recommended or even the right thing to do. It is merely what I did and how I did it. May not be the best option for you, of course. This is why some things you read on this blog may seem to be contradictory in nature or simply doesn’t seem to make sense. Well, it’s hard not to be, when pretty much everything was written from my perspective based on my unique situation. For example, I’ve written a couple of times that I use budgeting as a tool to keep my finances in check and how I track my expenses down to the cent. A confused reader read my previous post and wondered why the heck did I blow a couple of thousand dollars on a holiday that could yield perhaps $300 a year. It didn’t make sense to him or her. 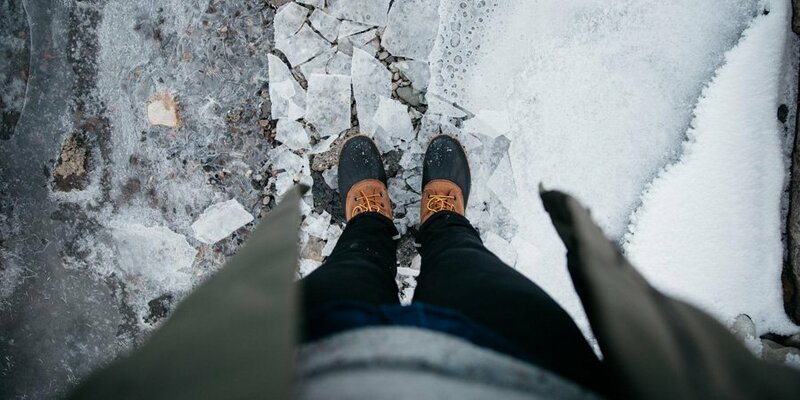 My blog isn’t simply one dimensional in nature. 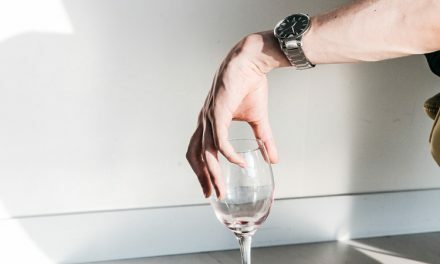 The usual mantra – work hard, be frugal, insure adequately and invest (prudently) doesn’t always apply to me because that isn’t what I’m single-mindedly after. Experiences has a way of shaping one’s perspectives. Yes, I budget down to the last cent. But I spend money lavishly on things or people I value while staying extremely frugal on other aspects. In fact, I’m paying for an upcoming cruise trip with my parents because we hardly get the chance to travel together. Yes, I’m primarily an index investor. But that doesn’t mean I don’t believe in dividend investing. I guess this blog turned out to be an exercise personally in terms of first becoming aware of my current situation, then planning my moves to optimize my life and taking the necessary actions to pursue my goals – all without compromising the life I wish to lead and share with my loved ones. Life didn’t flash across my eyes. Neither does time slow down, even though I wish it did. A couple of questions did pop into my mind. Plus a variety of dreaded emotions started creeping up. Fear – interestingly, not of dying, but of losing someone I love. Utter sense of helplessness when faced with the prospect of accomplishing possibly the most important task of my life with such limited capabilities of my own. You know what? I did it. It was a happily-ever-after ending for me, and I’m eternally thankful to my guardian angels on that day. The journey of life isn’t always a bed of roses, and you never know what obstacles life will throw at you. That I can be sure of. 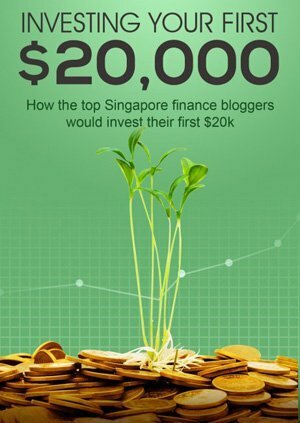 Yes, there are plenty of finance blogs in Singapore. Don’t just go for blogs that promise instant results. Or the best ‘atas’ looking ones. 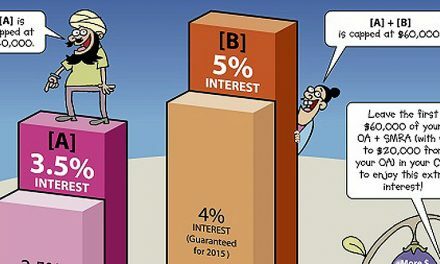 Look beyond that, because there is much more to be gained than just finance-related knowledge and information. Who knows? It might be even more valuable. I’m constantly reminding myself that it is easy to succumb to the temptation of seeing everything through the money lens. There are things in life that means more than that. It will be meaningless if we look at things, everything, from the perspective of money. There are things that we need to embrace, regardless the financial consequences. What’s both fascinating and cruel about life is how unpredictable it is. And at the heart of it all is not knowing when we would leave this world. Death tends to scupper the most well-laid of plans. Please tell me when you intend to see your maker? There is no such thing as foolproof or “bao jiak” when it comes to the vagaries of life. I guess this is what the journey to financial independence is like. Uneven, messy, conflicting priorities, a constant balancing act with many ups and downs. But this has always been my aim with this blog. It should chart all the successes we achieve, failures we endure, challenges we overcome and uncertainties that make us doubt. Do not get lost in the temptations of wealth and remember that our journey in this world is limited, we come into the world empty handed and will leave it empty handed to. Material possessions do us no good when we are dead. And so, the question remains. What if you don’t wake up tomorrow? You’re an idealist; I’m a romantic! Right on both counts! Wait. How did you know I’m a Sagittarius? Oh yeah, my profile. Getting old(er) here. Nice, just realised I got quoted. Thanks! I like the approach you have taken with your blog and I have tried to do the same with mine as well.